Orlando, much like my hometown of Niagara Falls, has a wide variety of Orlando accommodations. One can easily be overwhelmed with the sheer number of accommodation choices that are available in Orlando. To make your choice even more difficult the type, location, hotel amenities, and, of course, the price of the various Orlando accommodations can vary significantly. After deciding where and how to purchase your Universal Orlando attraction tickets, I put deciding where to stay as the next most important decision for getting the most of your Universal Studios Orlando vacation. You can stay on-site at one of the three luxurious and breathtaking Universal Studios hotels. Experience the Mediterranean charm of the Portofino Bay Hotel . Or, perhaps you’d like to “rock on” at the Hard Rock Hotel . Finally, experience the relaxation of the south Pacific at Universal’s Royal Pacific Resort . All three hotels are on-site at Universal Studios Orlando and only a stones throw away from all the fun and action. Plus staying on-site has many other perks and privileges like front of the line access to all the rides and attractions at Islands of Adventure and Universal Studios. Frankly, if it’s in your budget, staying on-site is the way to go. Off-site hotels are a less costly alternative if staying on-site is not what you had in mind. There are plenty of other Orlando accommodations to choose from near Universal Studios Orlando. And, you don’t have to sacrifice quality to save a little money. These accommodations are more moderately priced than their on-site cousins but still offer clean rooms, great service and a wide variety of hotel amenities to make everyone’s vacation to Universal Orlando a memorable one. Most of these hotels also offer free scheduled shuttle service to Universal Orlando and other area attractions. Your selection of Orlando accommodations doesn’t have to end at hotels. Many travelers do not think of renting a condo, villa or house when vacationing in Orlando. I think many people, yours truly included, seem to dismiss renting a condo as something you do when visiting the Florida coast. But, Orlando condominium rental can be a perfect choice for small to medium sized groups or just if you want to get away from the “touristy” places. In addition to condos, Orlando house rental is also a very affordable alternative especially if you are traveling in larger groups. They become sort of your “home away from home” and many have added luxuries like their own swimming pool and use of club facilities. Your Orlando accommodations come in all shapes, sizes and price tags. Staying on-site at one of the three Universal hotels is the way to go if it’s within your means. The perks and privileges of staying on-site are definitely worth the extra price tag. But, if staying on-site is not in your vacation plans then there are many other Orlando accommodations choices to choose from. 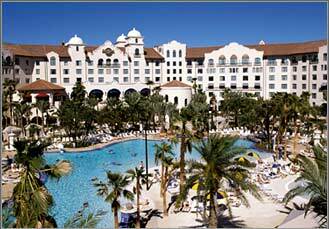 Off-site hotels and other budget Orlando hotels offer great value without sacrificing quality. And, Orlando condominium rental or Orlando house rental are private and allow you to relax in your own atmosphere. Whatever Orlando accommodations you choose, each has it’s own advantages. So, let’s take a closer look at the advantages of each as well as my recommendations for great places to stay so that you have the Universal Studios Orlando vacation of a lifetime.